Palma's work is concerned with the dialog between social sciences and visual arts in the sense that the combination of both leads him to think about the kind of final outputs commonly made within sociology. If research processes are the result of a step-by step combination of materialities, such as documents, interviews, images, etc. why the final piece should be restricted just to the written alphabet? Palma's aim is to open the range of materialities researchers use, to deal with the fabrication of more complex objects that work in both, the academic and non-academic fields. His current work is driven by his attraction about new kinds of cartographies, attempting to fabricate a map of the Atacama Desert (South America) that roots its materiality, sign system and construction procedures in the territory own strategies used to visualise the surrounding world. The film is the first part of a larger film project about the aforementioned territory. 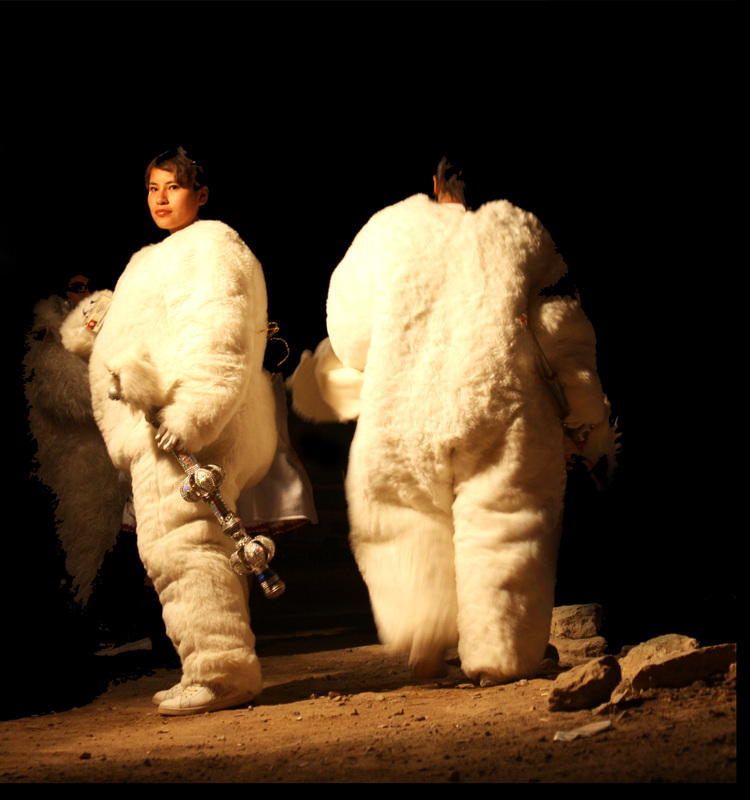 In its specificity, the film inquires on the Atacama Desert’ Ritual Festivities which compose a performative-map of the world by means of dance, outfits and music, enumerating a chain of fantastic beings during the seven-days long festivity of Ayquina. The first scene can be watched here. Felipe Palma is a PhD student in Visual Sociology at Goldsmiths College, UK. His background in visual arts and filmmaking has leaded him to combine sociological methods with visual supports, inquiring in a more public sociology and challenging common sociological outcomes. Currently he is working in a long documentary film project as part of his PhD research.